If you are looking for smart trousers to wear to work, you have come to the right place. Our best selling work trousers are designed to provide maximum comfort and have ample pockets to keep your belongings safe. Complete with belt loops, zip fly and a hook and bar fastening, trousers from System Hygiene are available in various colours. 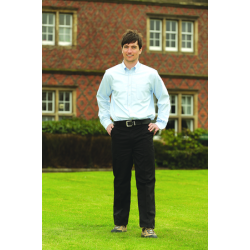 We also sell cargo trousers to suit any tradesmen or office worker. Our high quality trousers are durable and come with extras such as keyring hoops on the waistband for your convenience. Keep your staff looking smart and presentable with workwear trousers. 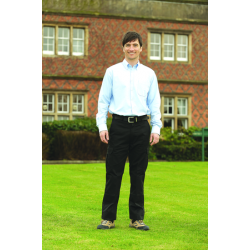 TR10 7oz Polycotton Work Trousers - Available In Waist Sizes 28" - 54"